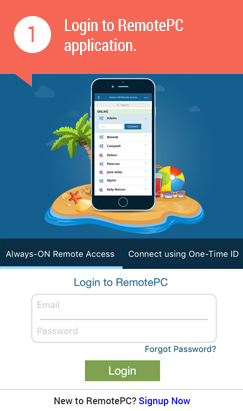 Access and view your computer remotely, from any iOS and Android device. Work on documents including emails on the move. You can also work from home by accessing your office computer or vice-versa. 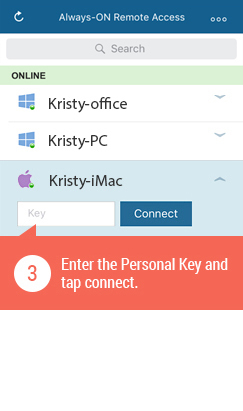 The communication between your mobile devices and your office/home computer is encrypted using TLS v 1.2 / AES-256 encryption. 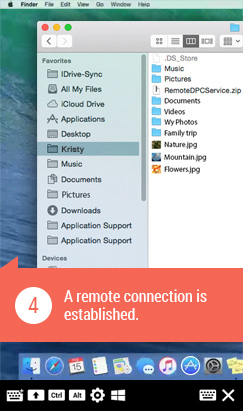 Make the screen of your remote computer blank during a remote session, to prevent others from glancing at your activities on the remote computer. Work from anywhere! 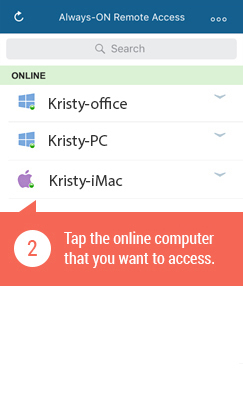 Even if your computer is logged off, you can reboot and connect your remote machine using your mobile devices. An extended keyboard with all function keys to access your remote PC from your mobile. Supports Android version 3.0 or later.